ANZAC. Standing for The Australian and New Zealand Army Corps. A word forever uttered with solemnity, dignity and respect. Anzac Day. A commemorative day to celebrate those who fought for our country, pushed aside differences to aid each other as comrades so that their nation could forever sleep in peace and safety. 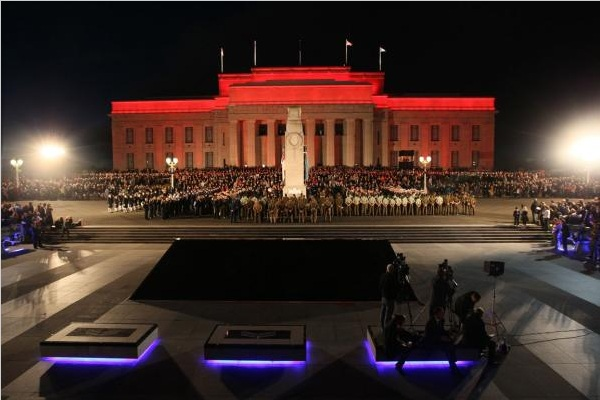 2016 will mark the 100th Anniversary of Anzac Day. Since 1916, there have been parades, marches, assemblies and speeches in every hall in Australia, as small as school gyms or as large as the Australian War Memorial. Anzac Day initially began to commemorate the brave soldiers who participated in the tragedy known as Gallipoli. Eventually, this prestigious day grew in scope, and now celebrates the war efforts of all involved – soldiers, nurses, doctors, carers, the list goes on – everyone who made a stand and helped their country to allow it the freedom we all experience today. The patriotism which goes with this day is not asked for nor is it compulsory. It is natural. Yes, I am not of Australian heritage. I am Indian. But the surge of pride comes just as naturally to me as any Australian. Born and bred here, I am just the same in respecting those who fought to keep this country safe. Back when I was Mini-CCU, I was learning about Anzac Day. I would hazard it to be year 3 or 4. And I wrote a poem. Free verse is what I know its style as now but back then I was just expressing how I saw the Anzac soldiers and war. Now, almost 7 years later, after reading countless war movies and reading many a book, I still see them the same. Of course, I think it is known worldwide, the food associated with Anzac Day are Anzac Biscuits. I have made them for two years running, every Anzac Day and while I promise to one day, post on it, this year I made something a little different. Remembering this dessert, I decided to make something traditional but with a twist. And so was born the Jam Layered Anzac Cookie Pie. Sweet, moist and delicious, this is like eating a warm crumble, stumbling into warm patches of jam, with the edges of the biscuit slightly crunchy like the cookie. 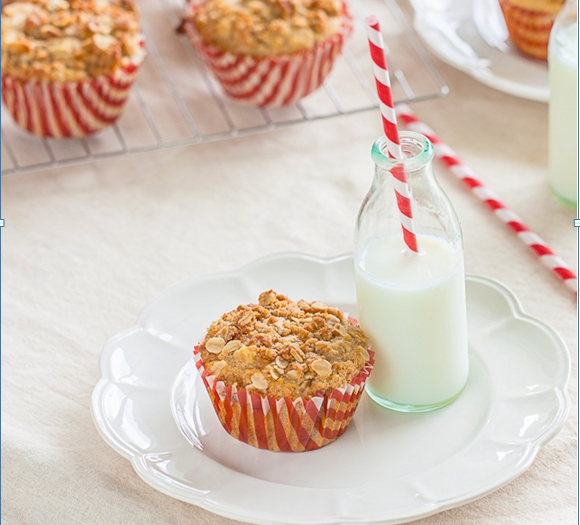 Jennifer @ Le Delicieux made a spin-off of the Anzac flavours, turning it into stunning banana Anzac muffins – sugar free too! 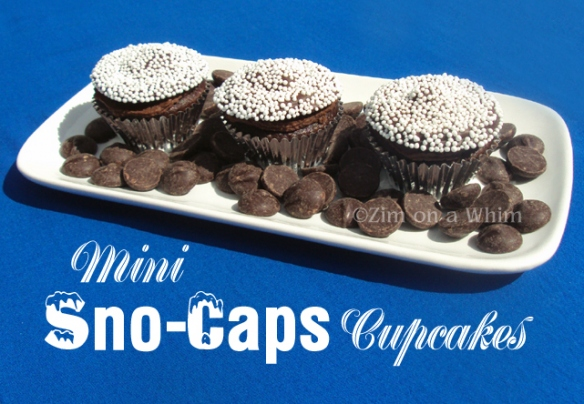 On my promised note, today’s featured chocolate yummy are these Mini Sno-Capped Cupcakes at Zim on a Whim! Micha, you excel yourself in creativity – these were simply stunning and with fabulous technique! I apologise sincerely and am regretful I am posting this three days late. Circumstance is not a good friend at times but I am thankful for that you all for understanding. I see others found the recipe irresistible but, personally I find poetry most poignant, especially for such a solemn occasion as Anzac Day. Thanks for including it. I see others found the recipe irresistible but, personally I find poetry most poignant, especially for such a solemn occasion as Anzac Day. Really good write-up on Anzac day, I had never heard of it until today. Your cookie pie looks delicious! And very happy you enjoyed the cookie pie my friend! I did read on maureen blog about that day, but I had no idea. the most beautiful part is that poppy flowers grew on the graves… touching! and here u mentioned that ur indian and I missed it. sorry uru, was quite busy lately, I ll promiss to find more time to hop over and visit your adorable and delicious bake treats. Choc Chip Uru, There was an interesting article in our local paper today that reminded me of you! It’s only because of you that I even knew about Anzac Day, thank you. Thanks for the history lesson and the recipe. 🙂 And I have the same star shaped pans ! And are they not the cutest things ever??? It is the most wonderful day of commemoration! This was a very touching tribute to the men and women who serve your country. My husband is in the military so veteran’s and memorial days are both cherished holidays in our household. Great poem, great recipe and thank you for sharing others tributes as well. I feel all gushy inside now! What a lovely tribute. Your poppy reference made me thing of “In Flanders Field” which we always read at my school on our Veterans’ Day in November. Really, thanks for remembering and honoring. oh those baked goods look fabulous! 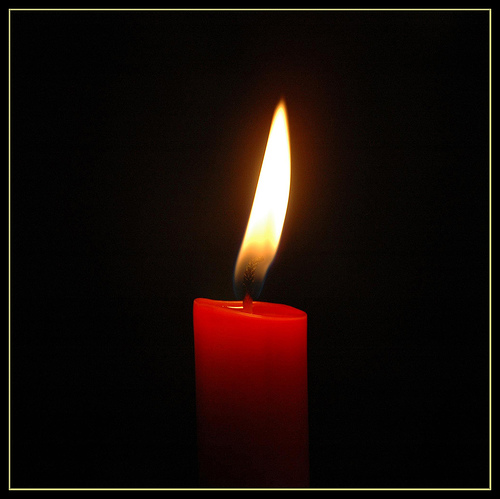 A wonderful history lesson and a beautiful poem–thank you Dear!! But seriously, thank you my friend for enjoying! I’ve only become aware of ANZAC day in the past few years. Your poem is a lovely tribute and I like that you’ve included a selection of ANZAC day offerings with your very special cookie pie! Just your description would make me want to try these even if there wasn’t great photos. Lovely post. I am very happy you enjoyed it my friend! Such a wonderful tribute. 🙂 those cookie pies sound fantastic. Thank you for enjoying both post and recipe my friend! What a beautiful tribute. It’s so important to remember sacrifices that were made on our behalf. Your jam pie tribute looks delicious! 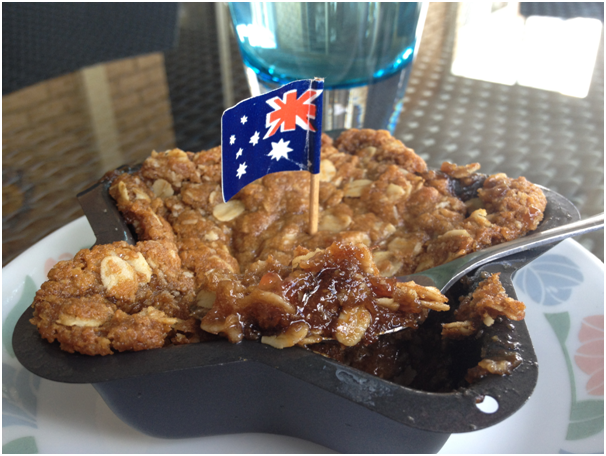 Great idea to turn the Anzac cookie into a jam cake! I’ve heard of Anzac cookies but never tried them…maybe it’s time to bake! Anzac cookies are amust try! Thanks so much – happy you enjoyed! Happy belated Anzac day to you! We have a holiday like this in the US, too. I think its important to remember our soldiers! Very lovely post and tribute. Nice that you shared a poem. The pie/cookie looks awesome! Thanks for informing us about this day. Your pie looks lovely and am sure it’s delicious! And thank you for enjoying this pie my friend! I am not aware of Anzac cookies associated with commemorative day. Your cookie pie looks lovely. Its so simple and easy to make that i want to try. I do have small pie tins, which I never used. BTW. I didn’t know that you were a poet, too. I once made Anzac bars but your tribute takes that simple recipe to new heights. Innovative, tasty and patriotic. Thank you my friend, too kind! I bet your bars were awesome! Such a touching post. I feel bad that I had not heard of this holiday before. On another note, I hope your exam studying is going well! it’s so interesting to read about other country’s holidays! + i love the jam-layered cookie pie that you made in tribute to the holiday – it looks + sounds just amazing! Thank you so much for enjoying my friend, too kind! What a beautiful tribute, Lately I have been seeing lots n lots of these cookies.. Yours look gorgeous!!! What a wonderful patriotic post. Every generation needs to appreciate what was sacrificed in order to get to where they are today. My husband and I fell in love with Australia immediately! We only got to see Cairns and Port Douglas but I am hooked and would love to visit NZ too. What a lovely way to commemorate the day, these look so tasty! And I recommend trying this recipe pronto – satisifes all cravings! I didn’t know anything about this holiday–thanks for the information! And that cookie tart, wow, that looks delicious. What a clever adaptation of the anzac biscuit! I’ll remember this recipe the next time I’m in the mood for crumble and don’t have any fruit in the house. Nicely done! Thanks 😀 – and I do do it quite often when I have no ‘crumble fruit’ and use jam! Such a nice tribute! Thanks for sharing. Nice, thoughtful post. Extremely nice tribute. And an extremely nice recipe – very creative. Really, really good post – thanks. What a great tribute to the soldiers – lovely dish and lovely poem. Thank you for educating us US people. This is such a delicious-looking cookie. I love the jam in the middle! Better late than never! What a nice tribute…and your pie looks delish! What a touching post! A wonderful tribute and special dessert to celebrate. What a delicious way to use a favorite jam! Really nice post CCU! Touching! I love the poem too as well as your pie! Well done! Thank you for sharing such a wonderful recipe and a beautiful tribute. When I lived in Brisbane, I picked up quite a few of those star shaped pans for baking in my small toaster oven, and it’s time to pull them out for this recipe! Hope you enjoy using those super cute tins! What an enlightening article. I’ve never heard of Anzac day and will be on the lookout for more information about what happened. The warm crumple in the patriotic star shape looks perfect for the occasion. I love anzacs in general, but I’m pretty sure I’d love a pie version even more! Finally I know what ‘Anzac’ stands for…thanks! All those baked cookies/muffins are fantastic! Thanks for enjoying my cookie pies! Love the poem. Love the Cookie. Love the tributes. This is a beautiful way to celebrate Anzac Day! All your bakings look delicious! I loved the the tribute to all those people who faught and suffered during that war! Hi Choc Chip Uru. 🙂 Thanks for visiting my blog while I am away. You are the best! These cookies look great. I have never had them, but I like your post. I will catch up later but it’s great to be back. Have a great day! My pleasure 😀 – your posts are always really good! I am glad I introduced you to the foundation of this special day! I’ve never heard of Anzac day – but now that I have, I want in! Your goodies look positively delicious (especially that last one, wowza!) Thanks for a lovely read and post! My brother is in the US army, so I greatly understand the feelings behind your ANZAC day. What a sweet tribute and yummy looking cookie pies. What a great tribute to the brave soldiers. Beautiful poem, cookies and poppy! Great post! Nice to learn about this holiday! Those cookie pies look delish! Glad I introduced you to this very special day my friend! I can’t say I’m a big fan of anzac cookies, since they always seem so dry and crumbly… These pies, on the other hand, are a different story entirely! Love how chewy, gooey, and rich they look! What a beautiful tribute. Loved this recipe! Enjoyed reading your post. Dear friend CCU, I’m grateful for your reminder that we must honor those who defend(ed) us. In a few weeks we will celebrate Armed Forces Day here in the U.S. You have reminded me that I have many ancestors to think of, from those who fought in the U.S.Civil War, to my father’s naval history in WWII, to both my brothers serving in the military (one as a lifetime career) and finally, to my own son who is in his 22nd year in the US Air Force. You wrote a lovely, heartfelt poem that can be applied to any hero (they all are heroes) worldwide. Thank you for sharing it. Your family has quite an honourable history in the army – you must be very proud my friend. I hope you have a wonderful commemoration on Armed Forces Day and you are right, this poem is for all those soldiers who work for a better world. I had never heard of Anzac day before this year but have really enjoyed reading about it. That dessert looks delicious! 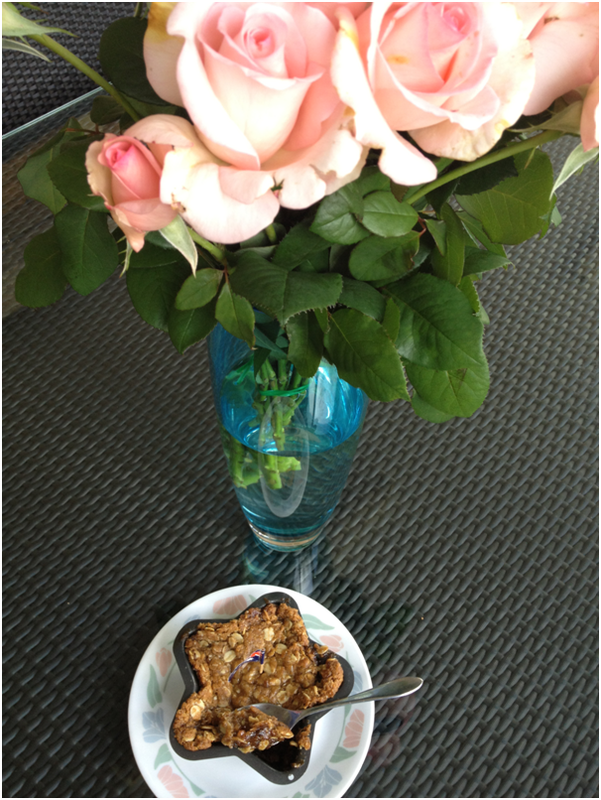 what a touching poem and what a marvelous twist on traditional anzac cookies! I have to honestly say that I only recently became aware of ANZAC day so I’m extremely grateful that you put together so a lovely, detailed post to bring me up to speed. Happy belated Anzac day, I had seen a few posts but I knew you would come through with a winner-these do look fabulous. Also thanks for taking the time to link up some fellow bloggers as well. Alwasy glad to stop and see what goodies you have made. Enoy the rest of your weekend! 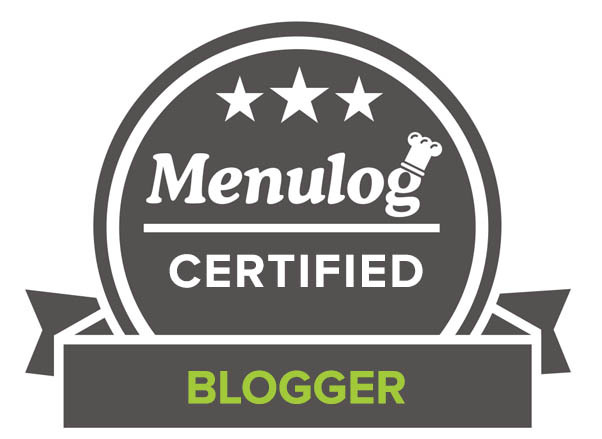 I am also glad you enjoyed my links – I love sharing recipes it is so much fun! I feel kind of ignorant that this is the first time I have ever heard of Anzac Day. Thank you for the information and the history lesson! The cookies look delicious too! 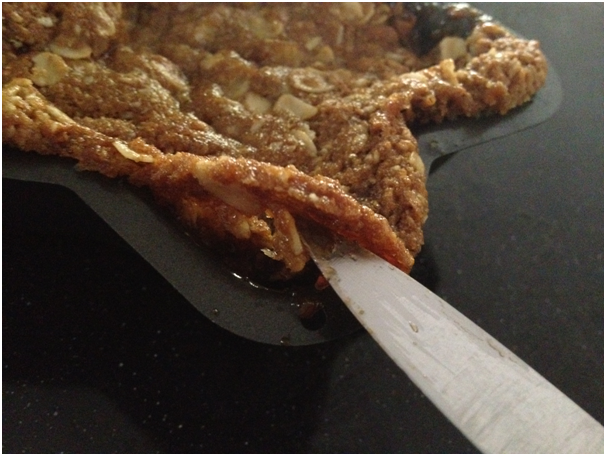 I love the pies – it makes a chnage from the usual Anzac biscuit. What a beautiful tribute, CCU! And it’s so amazing to see your talent extending beyond the kitchen even to writing prose. 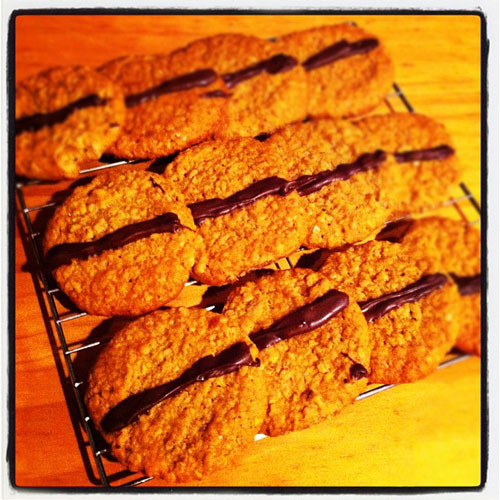 Your version of the Anzac cookie sounds divine! Look at that gooey, jam-riddled cookie…it really is making me drool! Great job, Uru,!! Anzac cookie pie looks super yum. But more than, that you taught me something new. In fact, the whole fam came to read this post. Thanks for sharing that bit of Australian history. Very nice post my friend, you bring a lot of emotion into your writing. My all time flavourite cookie, bar none! I bake them every year for Christmas. They are truly delicious and your new take on them is wonderful; all it needs is a scoop of vanilla ice cream! Yummy! I can enjoy this for breakfast or dessert. Love your tributes as well. Thank you, I certainly hope you do! Great pie! Pretty and tasty way to celebrate ANZAC Day. Looks as if we could possibly be kindred spirits regarding this – you appear to possess a similar sentiment and strategy for the website around this link as I do to my own. And will be sure to check out your links as well! I learned something new! You live in Australia!! Ha, how did I not know that I’m not really sure. But what a lovely tribute and poem to go along! These cookie pies sound incredible. Anything layered with strawberry jam is right up my alley!! Looks so yummy! I have never heard of anzac day, but this looks like a great way to celebrate it. I learn something new every day. Glad I could introduced you to it! I had no idea about the holiday or the treat. Thanks for sharing with us American folks. Loved your tribute, very nice post, the oatmeal start looks extra delicious! What a wonderful post! Thank you for introducing me to Anzac Day! I have much on Anzac Day and in fact have joined in the celebration for the purpose of the same day. Lovely cookies you have made to coincide with the remembrance of what Anzac day holds. I have much on Anzac Day and have once or twice joined in the celebration of the day. Lovely cookies you have shared to coincide with the Anzac Day. Your anzac pie looks amazing! I hadn’t heard of anzac, or anzac cookies, until I started blogging, and now they’re so familiar to me. A lovely tribute. And I am glad you have been well aquainted with them – are they not heavenly? What a lovely tribute and post, and a wonderful verse. You’re so talented, CCU. Love the star shaped Anzac layered cookie pie, too. Also happy you enjoyed the cookie pie! Have a happy weekend my friend! Wonderful recipe they look incredibly good and a touching tribute to Anzac day. I really enjoyed the post outlining the history of that day, it’s like Memorial Day in the USA. The poem is so touching and beautiful. Happy Belated Anzac Day and cheers to those that fought to protect and serve, and to those that died in service to their country. I have heard of Memorial Day in USA as well – it is necessary to commemorate those lost. I love your poem, very moving and very well written. I would have been very proud if one of my students had written as well as this. You certainly are a many-talented person! I love that poppies grow on war torn ground, re-energising the ground and reminding us with their colour of what happened there once. Your cookies/tarts sound delicious, as always. Very nice dessert and a great post to Anzac Day. Wonderful links as well. What a wonderful way to celebrate your heritage!!! Plus, these look amazing! And I very happy you enjoyed the cookie pie! You poem and partiotism is very visible today! So touching. I am totally going to use your new creation very soon because I can use some of my homemade jam in it!! I will let you know how it turns out……….always so happy to see your posts! I enjoyed reading your poem, CCU. I liked it that there was some structure in that there free verse. And I like your star-shaped baking tin. And the star tin is my favourite without a doubt! You are without doubt a truly gifted and talented young lady. Your poem is beautiful and moving. I too love Australia. I have many Australian friends. Sadly I have only been able to visit your wonderful country once, but I was not disappointed. On a lighter note. 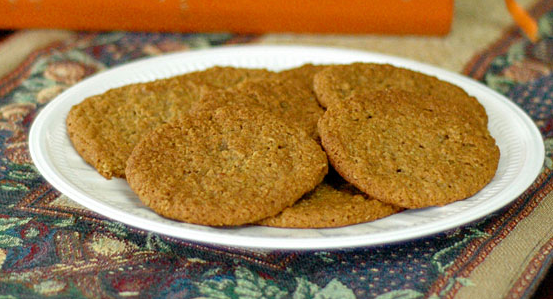 Your version of the Anzac biscuit looks extremely yummy. A great post and a lovely way to pay tribute. What a perfect tribute, my friend! Isn’t it odd that poppies tend to grow where the ground has been disturbed mostly by war? I love to think of each and every one of those flowers is a new life given by the sad loss of the person that lost their life. The jam layered cookie pies look so delicious, very drool worthy! And the jam goes with the poppy too. P.S. Was going through FoodBuzz when I saw your new post so left you some buzz-love too. Also you are too sweet for the buzz! What a lovely, respectful tribute. I remember when I was little seeing the old men giving out red paper poppies on Veterans’ Day here in the US. I didn’t understand what it meant then, but I felt the solemnity and the dignity of those aged heroes. Thanks for linking my biscuits. 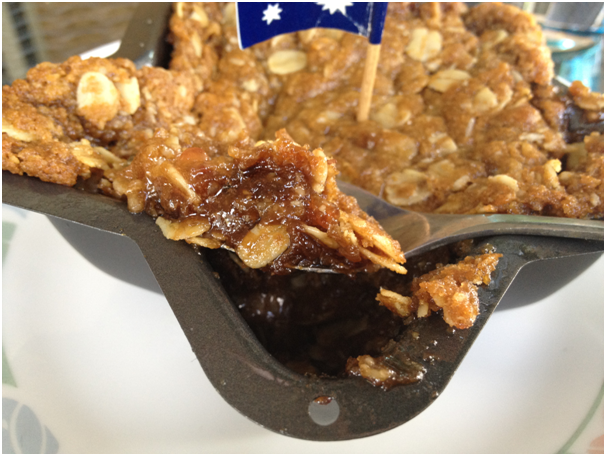 I love your post and your jam layered Anzac tarty thing! I’ve never heard of Anzac Day before but I’m so so glad that you shared it’s meaning. I did see Gallipoli (the movie) and it made me cry. I don’t think you should share food at the same time that you share such a moving poem, though. You have so many talents! Yes, the cookie pie is gorgeous (how could it not be if you made it?) but that poem was incredible. Lovely post and Happy Anzac Day to you. Your cookie pies look totally delish, chewy and jammy. Hope you have a wonderful weekend. 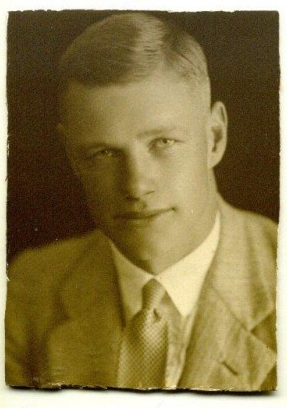 It was a pleasure to include your grandfather my friend – he was one of the many heros we commemorate on this wonderful holiday so it is so important to celebrate them properly. Irresistible cookie pie! Other collections are awesome too. Have a great weekend dear! Hope you too have a wonderful weekend my friend! That is truest of sayings! A lovely post to commemorate Anzac day. Must confess, not heard of Anzac Day but Anzac cookies bring back memories! They were the first cookies I tried when I came across the idea of cookie bouquets over 10 years ago! The pie idea is new to me, looks drool worthy! All those wonderful cakes … with no calories in. *smile .. Happy Anzac Day to you .. That banana muffin and the milk are talking to me !!!!! Wonderful stuff every time I visit you. I am glad you enjoyed the post my friend! Happy Anzac Day to you!!! I’m totally loving your baked dedications to the day! And it can’t get better than that star-shaped cookie of yours! 😀 Looks so crumbly and delicious! !